What can Google Maps Street View do for your business? For the past month, we’ve been giving Google Maps Marketing tips and tricks that can help businesses improve their ranking on Google, but we’ve got more tips up our sleeves. So, this week, we’re zooming in on Google Maps Street View that is far more than just a cool feature. And, if you’ve missed our articles about Google Maps Marketing, Google My Business optimization, and ways to improve your Google Maps ranking, you can find them here, here, and here. I used to think that Google Maps Street View was just a cool (and unnecessary) feature that no one really used, but guess what.. I was wrong! Street View is a powerful tool that adds an extra dimension to your presence on Google. By using Street View you give prospects and customers the chance to take a virtual tour around your business. This allows them to get excited about your place even before walking through the doors. And don't worry, Google Maps uses technology that automatically blurs faces and license plates, so you don't have to worry about unwarranted privacy. While the use of Street View as a marketing tool may not be widespread yet, it’s likely that both the use and importance of it will increase in the years to come. So, if you’re not familiar with the specific benefits of Street View yet, here’s a list of seven benefits you don’t want to miss. One of the most important benefits of Google Maps Street View is trust. We live in an era of mistrust. Mistrust of institutions, of governments, of businesses, and of marketing. Most Americans are exposed to around 4,000 to 10,000 ads each day and we no longer trust advertising messages blindly. This makes authenticity more important than ever before. Street View allows you to be transparent and show customers you don’t have anything to hide. Instead of just telling them who you are, you can show them. This can help you build trust and it’s a great way to differentiate yourself from the competition. As we’ve said before, today’s consumer is research-obsessed. According to Google, researched-obsessed consumers are driven by three things: Getting excited, getting confident, and creating the best experience possible. In other words, preparing for something is emotionally rewarding and more importantly, it adds to the overall experience. With Google Maps Street View you can meet customers’ need for research by giving them the information they would have to dig for on other sites in a more trustworthy way. Plus, it can potentially increase sales as customers are excited and prepared before stepping foot in your business. 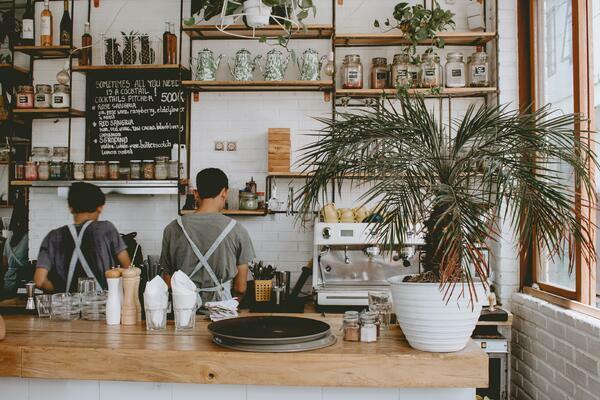 By allowing customers to virtually visit your store or restaurant from the comfort of their home, you show them you care for them and that you’ll do everything to give them the best possible customer experience. A lot of businesses try to lure customers to their business under false pretences. This creates a bad experience, when customers realize the business is not what they were hoping for. Google Maps Street View lets you show the atmosphere of your restaurant or demonstrate the quality of your business, so customers can see that your business matches their exact needs. Speaking of customers’ needs, Google Maps Street View is also a great way to reach your target audience. 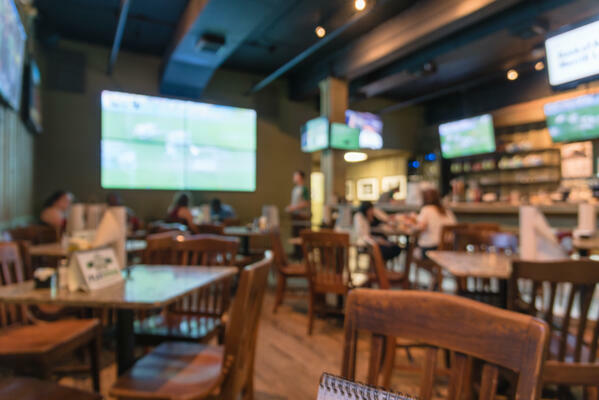 Let's say you're a sports bar whose target audience is college football fans. To attract your target audience, you've hung up football banners and memorabilia throughout your restaurant. Showing off the decor is a great way to reach your target audience and Google Maps Street View gives you the platform to do so. Suddenly, college football fans can take a virtual tour of your restaurant and get hooked, when they see your decor. As we explained in this article, search results in Google Maps relies heavily on proximity. This means that when people in the area are searching for a place to eat and your restaurant comes up on the results page, the street view imagery of your restaurant may just be the tipping point, when they compare you to your local competitors who don’t offer street view access. With Google Maps Street View customers can get the answer to all of these and more questions in one place. By taking a virtual tour around your spaces, they can plan accordingly for the occasion and they don’t have to worry about hiccups. User-generated content, word-of-mouth, and reviews are all examples of trustworthy and highly effective marketing. By giving customers Google Maps Street View access to your business, you can further boost these marketing “strategies” as your advocates can now show their family, friends, and followers what they’re talking about. Picture this, one of your customers is having dinner with friends and tells about his visit at your restaurant the week before. He praises the food and the waiters, but he also describes the cozy atmosphere. To show his friends what he’s talking about, he grabs his phone and give them a virtual tour around your spaces. Chances are, the friends will think of your restaurant the next time they’re going out because they know it’s good and they’re already excited about thanks to their virtual visit. Google Maps Street View can be used whenever, wherever and since today’s consumers are impatient and used to find answers to all of their questions quickly and easily on Google, Street View is a great platform to give them the information they need. 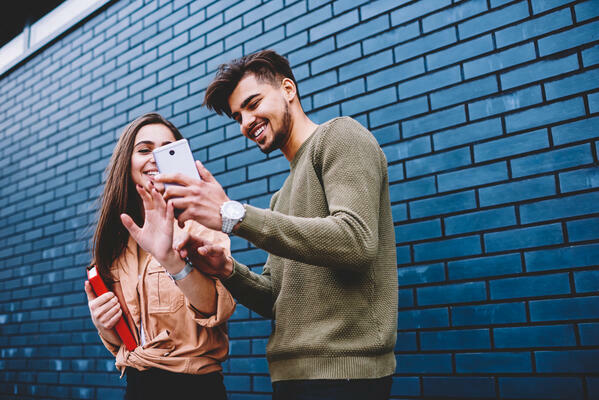 According to research, the brain processes visual sixty times faster than text, and images are forty times more likely to be shared on social media. Add to that the fact that we’re more likely to remember content with images and video. In other words, the Street View images will be processed faster than a description of your business and it increases the chance of people remembering your business. As they say, a picture says more than a thousand words. If you want to know more about the Google Maps Street View API, reach out to one of our Google Maps experts, Jesper S. Holdensen, Toni Selvli-Buch, Samuel Lindgren, or Fie Hovalt Christoffersen. You can also read more about the Google Maps Platform via the button below.